Milk and cookies. Peanut butter and jelly. Pizza and beer. All classic combos. A couple of weeks ago RJ attended an event that joined two of these things in perfect harmony. 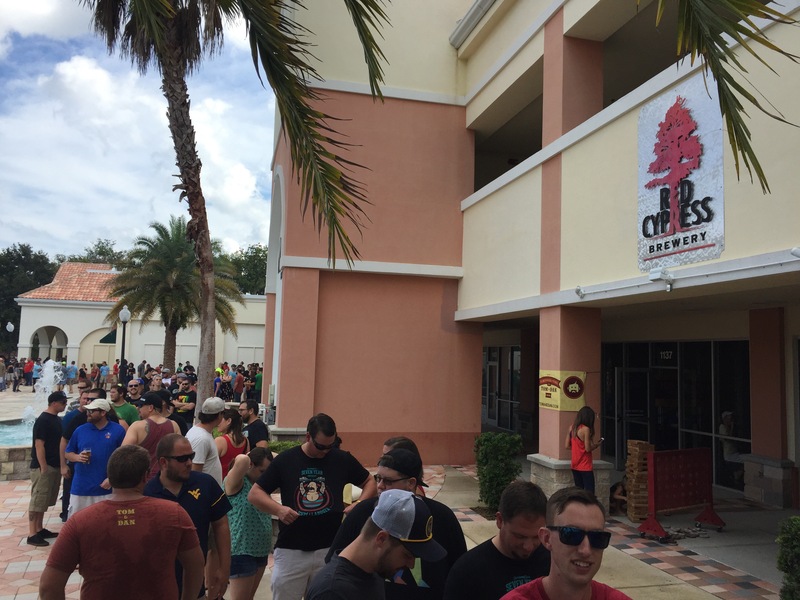 He along with hundreds (yes, hundreds) of fans of A Mediocre Time with Tom and Dan flocked to Red Cypress Brewery to celebrate the release of their collaborative beer “Middle of the Road”. Middle of the Road WorkingMun Ale is stylistically a wet hopped golden ale. What does wet hopped mean you might ask? Well that is when fresh off the vine, unprocessed hops are used during the brewing process rather than their more commonly found dried or pellet form counterparts. Wet hopping is a time sensitive practice as fresh hops are delicate flowers that need to be used roughly 24 to 48 hours after being cut before they begin to compost. Hence why most hops are dried immediately after harvest. Wet hops typically appear in seasonal brews during the late summer and autumn months, and allow the full flavor and aroma of the hop to be showcased. All those waiting in line in the Florida afternoon sun (some for over 2 hours) were able to get their hands on this limited release beer either with a pint in the taproom or with a 6-pack, growler, or crowler to-go. Lucky folks considering only 260 cases of this collaboration were brewed! 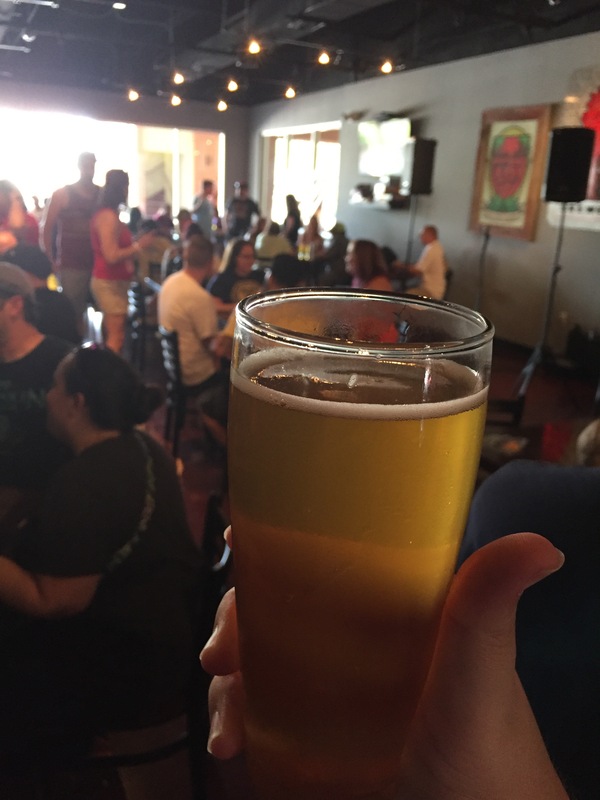 While RJ grabbed a 6-pack and a growler to take home and share with the natives (neither Jason or Kendal have yet to see evidence of this), he also found himself indulging in a pint (or 3) with the other fans enjoying the camaraderie that comes along with any Tom and Dan event. 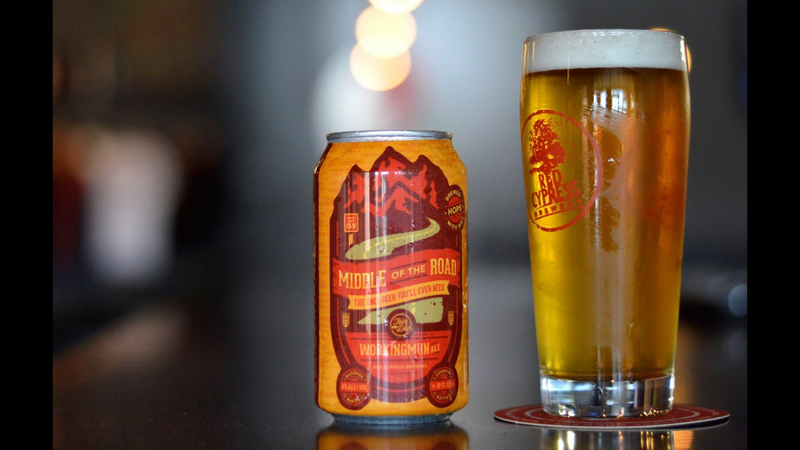 No surprise that this golden ale is named “Middle of the Road” as RJ confirms that it’s not too strong to limit its audience, but not too light either that it tastes like your run of the mill mainstream beer. Simply put, it is perfectly down the middle of great, balanced flavor. As for food…outside of some packaged snacks, Red Cypress Brewery does not sell food onsite, but they do tend to have some high quality food trucks on hand from time to time. On this particular day Tom and Dan brought along Daydream Pizza to ease the hunger of their adoring, beer drinking fans. Daydream Pizza got its wheels rolling in 2014 and as the name implies, it is a dream of flavor and creativity in the way of making pizza. The 8-inch pies are all served as a double layered thin crust, filled with cheese, and then topped with a plethora of ingredients. Gluten-free crust is also available for an additional fee for any of those with allergies or a made up food affinity. The most talked about pizza from their list, however, had to be the “Ninja Turtle”. A double serving of pepperoni covered in mini roasted marshmallows. Say what?! Say “Cowabunga, dude!” is what. Overall RJ calls this a successful day for all parties involved. Tom and Dan fulfilled a bucket list item of making their own beer. Daydream Pizza spread the love with their grub. Red Cypress Brewery further proved they know how to brew a quality beer. And the fans, well, they got to take advantage of it all. 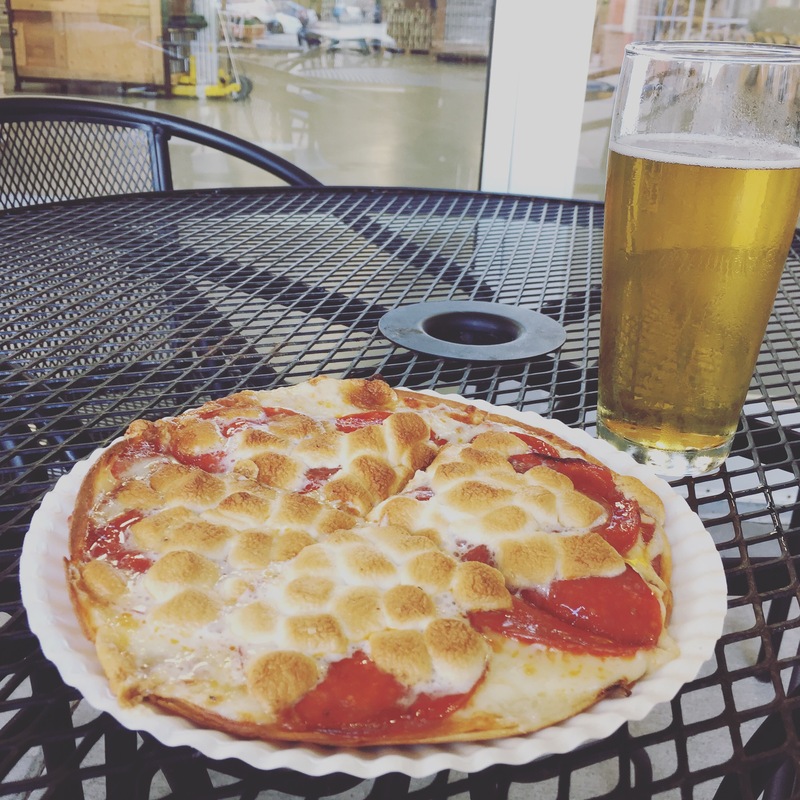 Have you tried the beer that claims to be “the only beer you’ll ever need” or the pizza of your daydreams? We’d love to hear your take and opinions in the comments below.